Novelty Detection for Multispectral Images with Application to Planetary Exploration. Hannah R. Kerner, Danika F. Wellington, Kiri L. Wagstaff, James F. Bell, and Heni Ben Amor. Proceedings of the Thirty-First Annual Conference on Innovative Applications of Artificial Intelligence, 2019. We use an autoencoder to detect unusual image content, such as meteorites on the Martian surface, in multispectral images. Moving Target Indication in Moderate Resolution, Passive MISR Satellite Imagery. Michael J. Garay and Kiri L. Wagstaff. International Geoscience and Remote Sensing Symposium, July 2019. We detect sub-pixel moving vessels in ocean scenes as bright outliers in 14-bit observations. Multi-angle MISR observations cover a temporal span sufficient to also yield an estimate of vessel speed and direction of motion from a single observation. Automatic Plume Detection for the Europa Imaging System. Gary Doran, Kiri L. Wagstaff, Marissa Cameron, Ingrid Daubar, and Cynthia Phillips. Fourth Planetary Data Workshop, Abstract #7026, June 2019 (submitted). We apply image analysis and adaptive thresholding methods to detect the target body's limb and determine whether there is evidence for an active plume. This technology could potentially be used to detect plumes in situ within images of Europa obtained by the Europa Imaging System (EIS) instrument on the upcoming Europa Clipper mission. Comparison of Novelty Detection Methods for Multispectral Images from the Mastcam Instrument onboard Mars Science Laboratory. Hannah R. Kerner, Kiri L. Wagstaff, Brian Bue, Danika Wellington, Samantha Jacob, James F. Bell III, and Heni Ben Amor. Fourth Planetary Data Workshop, Abstract #70XX, June 2019 (submitted). We describe experiments with different novelty detection methods applied to rover images to aid in directing attention to the images most likely to be of interest to mission scientists and planners. These include images of meteorites, rock veins, broken rocks, and other surface features with unusual mineralogy. We found that a convolutional autoencoder had the best overall precision@N performance. However, individual classes showed different behavior, with a standard SVD yielding the best AUC for naturally occurring features (broken rocks, float rocks, and meteorites) and a generative adversarial network (GAN) yielding the best performance for novel features created by the rover itself (drill holes, brush spots, and dump piles). Improved Content-Based Image Classifiers for the PDS Image Atlas. Steven Lu, Kiri L. Wagstaff, Jesse Cai, Gary Doran, Kevin Grimes, Jake Lee, Lukas Mandrake, and Yisong Yue. Fourth Planetary Data Workshop, Abstract #7028, June 2019 (submitted). We report on several improvements to the classifiers we developed to assign content labels to NASA images collected by Mars rovers and orbiters. The improvements include data augmentation, classifier calibration, and updates to the fine-tuning methodology. MSL Analyst's Notebook: Improved Connections between Targets, Data, and Published Literature. Thomas C. Stein, Raymond E. Arvidson, Kiri L. Wagstaff, and Feng Zhou. Fourth Planetary Data Workshop, Abstract #7027, June 2019 (submitted). Responsive Onboard Science for the Europa Clipper Mission. Kiri Wagstaff, Gary Doran, Ashley Davies, Saadat Anwar, Srija Chakraborty, Diana Blaney, Marissa Cameron, Jonathan Bapst, Steve Chien, Corey Cochrane, Ingrid Daubar, Serina Diniega, Cynthia Phillips, and Sylvain Piqueux. JPL Data Science Showcase, Poster 29, April 2019. Optimizing WFIRST Exoplanet Yield using Machine Learning for Microlensing Event Detection. Selina Chu, Kiri L. Wagstaff, Geoffrey Bryden, Yossi Shvartzvald, and Savannah Jacklin. JPL Data Science Showcase, Poster 64, April 2019. Deep Mars: A CNN Approach that Enables Image Content-Based Search for PDS Image Atlas. Steven Lu, Kiri Wagstaff, Kevin Grimes, Gary Doran, Lukas Mandrake, Jake Lee, and Jesse Cai. JPL Data Science Showcase, Poster 35, April 2019. Lukas Mandrake, Kiri Wagstaff, Gary Doran, Steven Lu, Erik Langert, and Jimmie Young. JPL Data Science Showcase, Poster 14, April 2019. An Anomaly Catalog for the Dark Energy Survey. Umaa Rebbapragada, Eric Huff, and Kiri Wagstaff. JPL Data Science Showcase, Poster 68, April 2019. Spectral Anomaly Detection for the Mapping Imaging Spectrometer for Europa (MISE). Kiri L. Wagstaff, Diana L. Blaney, Srija Chakraborty, Steve A. Chien, Ashley G. Davies, Serina Diniega, and Gary Doran. 50th Lunar and Planetary Science Conference, Abstract #1604, March 2019. We apply anomaly detection methods to NIMS observations of Europa and describe how they could be used onboard the upcoming Europa Clipper mission by the MISE instrument for in-situ detections. See also the poster. MSL Analyst's Notebook: Curiosity APXS Concentration Data Integration and Mars Target Encyclopedia and Interface Updates. T. C. Stein, R. E. Arvidson, S. J. Van Bommel, K. L. Wagstaff, and F. Zhou. 50th Lunar and Planetary Science Conference, Abstract #1820, March 2019. Interpretable Discovery in Large Image Data Sets. Kiri L. Wagstaff and Jake Lee. Proceedings of the ICML Workshop on Human Interpretability in Machine Learning (WHI), p. 107-113, 2018. We combine novelty detection with CNN image features to achieve rapid discovery with interpretable explanations of novel image content. Visit the paper website for code, data, etc. Automated Classification to Improve the Efficiency of Weeding Library Collections. Kiri L. Wagstaff and Geoffrey Z. Liu. Journal of Academic Librarianship, 44(2), p. 238-247, 2018. We evaluated several machine learning classifiers in terms of their ability to predict which books are most likely to be weeded from a collection. We applied this method to a collection of more than 80,000 items from an academic library and found statistically significant agreement (p = 0.001) between classifier and librarian decisions. Mars Target Encyclopedia: Rock and Soil Composition Extracted from the Literature. Kiri L. Wagstaff, Raymond Francis, Thamme Gowda, You Lu, Ellen Riloff, Karanjeet Singh, and Nina L. Lanza. Proceedings of the Thirtieth Annual Conference on Innovative Applications of Artificial Intelligence, p. 7861-7866, 2018. Deep Mars: CNN Classification of Mars Imagery for the PDS Imaging Atlas. Kiri L. Wagstaff, You Lu, Alice Stanboli, Kevin Grimes, Thamme Gowda, and Jordan Padams. Proceedings of the Thirtieth Annual Conference on Innovative Applications of Artificial Intelligence, p. 7867-7872, 2018. Novelty Detection for Multispectral Planetary Images. Hannah Rae Kerner, Danika F. Wellington, Kiri Wagstaff, Samantha Jacob, James F. Bell III, and Heni Ben Amor. Fall Meeting of the American Geophysical Union, Abstract #IN14A-01, December 2018. Automatic Detection of Microlensing Events in the Galactic Bulge using Machine Learning Techniques. Selina Chu, Kiri L. Wagstaff, Geoffrey Bryden, and Yossi Shvartzvald. 28th Astronomical Data Analysis Software & Systems (ADASS) Conference, Abstract #P1.21, November 2018. Responsive Onboard Science for Europa Clipper. Kiri L. Wagstaff, Ashley Davies, Gary Doran, Srija Chakraborty, Saadat Anwar, Diana L. Blaney, Steve Chien, Philip R. Christensen, and Serina Diniega. Outer Planets Assessment Group meeting, September 2018. Onboard Detection of Thermal Anomalies for Europa Clipper. Gary Doran, Ashley G. Davies, Kiri L. Wagstaff, Saadat Anwar, Diana L. Blaney, Steve Chien, Phil Christensen, and Serina Diniega. European Planetary Science Congress, Abstract #528, September 2018. PDS Analyst's Notebook: Curiosity ChemCam RMI Mosaic and Mars Target Encyclopedia Integration and Interface Updates. T. C. Stein, R. E. Arvidson, W. Rapin, K. L. Wagstaff, D. Delapp, R. C. Wiens, O. Gasnault. 49th Lunar and Planetary Science Conference, Abstract #1248, March 2018. Kiri L. Wagstaff. Master's Thesis (Library and Information Science), San Jose State University, 2017. Cloud Filtering and Novelty Detection using Onboard Machine Learning for the EO-1 Spacecraft. Kiri L. Wagstaff, Alphan Altinok, Steve Chien, Umaa Rebbapragada, Steve Schaffer, David R. Thompson, and Daniel Tran. IJCAI 2017 Workshop on AI in the Oceans and Space, 2017. Scientist-Guided Autonomy for Self-Reliant Rovers. Gary Doran, Umaa Rebbapragada, Eugenie Song, Kiri Wagstaff, Daniel Gaines, Robert Anderson, and Ashwin Vasavada. Steve Chien and Kiri L. Wagstaff. Science Robotics, 2(7), eaan4831, 2017. Onboard Autonomy on the Intelligent Payload EXperiment CubeSat Mission. Steve Chien, Joshua Doubleday, David R. Thompson, Kiri L. Wagstaff, John Bellardo, Craig Francis, Eric Baumgarten, Austin Williams, Edmund Yee, Eric Stanton, and Jordi Piug-Suari. Journal of Aerospace Information Systems, vol. 14, no. 6, p. 307-315, 2017. Marginalia in the Digital Age: Are Digital Reading Devices Meeting the Needs of Today's Readers? Melanie Ramdarshan Bold and Kiri L. Wagstaff. Library & Information Science Research, 39(1), 16-22, 2017. We surveyed readers to find out about their attitudes toward marginalia, and whether and how often they indulged in it themselves. We also investigated whether marginalia translates into electronic books and which features are most desired by users of e-readers. Recurring Slope Lineae (RSL) Observations Suggest Widespread Occurrence and Complex Behavior. David E. Stillman, Robert .E. Grimm, Kiri L. Wagstaff, Brian D. Bue, Timothy I. Michaels. Fall Meeting of the American Geophysical Union, December 2017. Automated Mapping and Characterization of RSL from HiRISE data with MAARSL. Brian D. Bue, Kiri L. Wagstaff, David E. Stillman. 49th Annual Meeting of the Division for Planetary Sciences, October 2017. Mars Target Encyclopedia: Information Extraction for Planetary Science. Kiri L. Wagstaff, Raymond Francis, Thamme Gowda, You Lu, Ellen Riloff, and Karanjeet Singh. Third Planetary Data Workshop, Abstract #7031, June 2017. Automated Content Detection for Cassini Images. Alice Stanboli, Brian Bue, Kiri Wagstaff, and Alphan Altinok. Third Planetary Data Workshop, Abstract #7048, June 2017. Observations and Updated Water Budget of Recurring Slope Lineae (RSL) in Garni Crater. David E. Stillman, Brian D. Bue, Kiri L. Wagstaff, T. I. Michaels, and R. E. Grimm. 48th Lunar and Planetary Science Conference, Abstract #2506, March 2017. Limits on Fast Radio Bursts from Four Years of the V-FASTR Experiment. Sarah Burke-Spolaor, Cathryn M. Trott, Walter F. Brisken, Adam T. Deller, Walid A. Majid, Divya Palaniswamy, David R. Thompson, Steven J. Tingay, Kiri L. Wagstaff, and Randall B. Wayth. The Astrophysical Journal, 826(2), doi:10.3847/0004-637X/826/2/223, 2016. A Machine Learning Classifier for Fast Radio Burst Detection at the VLBA. Kiri L. Wagstaff, Benyang Tang, David R. Thompson, Shakeh Khudikyan, Jane Wyngaard, Adam T. Deller, Divya Palaniswamy, Steven J. Tingay, and Randall B. Wayth. Publications of the Astronomical Society of the Pacific, 128:966(084503), 2016. We describe the classifier used to filter VLBA fast radio burst detections to reduce the human effort needed to review and classify them manually. We also describe the web interface used for ongoing reviewing, which you can see for yourself at the V-FASTR Data Portal. You can also view the latest classifier results (updated daily). Creating a Mars Target Encyclopedia by Extracting Information from the Planetary Science Literature (pdf, 5 pages, 421K) [Slides (pptx, 5.4M)]. Kiri L. Wagstaff, Ellen Riloff, Nina L. Lanza, Chris A. Mattmann, and Paul M. Ramirez. AAAI-16 Workshop on Workshop on Knowledge Extraction from Text, Feb. 2016. We share the motivation for a Mars Target Encyclopedia and provide initial results from hand-annotation of planetary science papers. Instrument Science Autonomy for Orbital and Flyby Planetary Missions. Kiri L. Wagstaff, Alphan Altinok, Brian Bue, Steve A. Chien, and Lukas Mandrake. Proceedings of the Third International Workshop on Instrumentation for Planetary Missions, October 2016. Instrument Autonomy Techniques Enhance Science Return and Efficiency of Surface Missions. Raymond Francis, Tara A Estlin, Kiri L. Wagstaff, Gary Doran, and Lukas Mandrake. NASA Tech Brief on V-FASTR Radio Transient Classifier, May 2016. Onboard Machine Learning Classification of Images by a Cubesat in Earth Orbit. David R. Thompson, Alphan Altinok, Ben Bornstein, Steve A. Chien, Joshua Doubleday, John Bellardo, and Kiri L. Wagstaff. AI Matters, 1(4), 38-40, 2015. Thomas Fuchs, David R. Thompson, Brian Bue, Julie Castillo, Steve Chien, Dero Gharibian, and Kiri Wagstaff. Earth and Space Science, 2(10), 417-434, 2015. Andrew F. Hart, Luca Cinquini, Shakeh E. Khudikyan, David R. Thompson, Chris A. Mattmann, Kiri Wagstaff, Joseph Lazio, and Dayton Jones. NASA Tech Brief on Discovery through Eigenbasis Modeling of Uninteresting Data, November 2015. Landmark Classification and Content-Based Search for Mars Orbital Imagery. Kiri L. Wagstaff, Gary B. Doran, Ravi Kiran, Lukas Mandrake, Norbert Schorghofer, and Alice Stanboli. 2nd Planetary Data Workshop, June 2015. Seasonal Water Budget Suggests that a Valles Marineris Recurring Slope Lineae (RSL) Site must be Recharged by an Aquifer. David E. Stillman, Kiri L. Wagstaff, T. I. Michaels and R. E. Grimm. 46th Lunar and Planetary Science Conference, March 2015. Astronomical Data Triage for Rapid Science Return. Brian D. Bue, Kiri L. Wagstaff, Umaa D. Rebbapragada, David R. Thompson, and Benyang Tang. Proceedings of the Big Data from Space Conference, 2014. Kiri L. Wagstaff, David R. Thompson, Brian D. Bue, and Thomas J. Fuchs. The Astrophysical Journal, 794(1), doi:10.1088/0004-637X/794/1/43, 2014. A. F. Hart, L. Cinquini, S. E. Khudikyan, D. R. Thompson, C. A. Mattmann, K. L. Wagstaff, J. Lazio, and D. Jones. Real-Time Adaptive Event Detection in Astronomical Data Streams. Randall B. Wayth, Kiri L. Wagstaff, Steven J. Tingay, Walid A. Majid, Divya Palaniswamy, Adam T. Deller, David R. Thompson, and Sarah Burke-Spolaor. IEEE Intelligent Systems, 29(1):48-55, 2014. Field Demonstration of an Instrument Performing Automatic Classification of Geologic Surfaces. Dmitriy L. Bekker, David R. Thompson, William J. Abbey, Nathalie A. Cabrol, Raymond Francis, Ken S. Manatt, Kevin F. Ortega, and Kiri L. Wagstaff. Onboard Autonomy on the Intelligent Payload EXperiment (IPEX) Cubesat Mission: A pathfinder for the proposed HyspIRI Mission Intelligent Payload Module. Steve Chien, Joshua Doubleday, David R. Thompson, Kiri L. Wagstaff, John Bellardo, Craig Francis, Eric Baumgarten, Austin Williams, Edmund Yee, Daniel Fluitt, Eric Stanton, and Jordi Piug-Suari. Proceedings of the International Symposium on Artificial Intelligence, Robotics and Automation in Space, 2014. Thomas J. Fuchs, Brian D. Bue, Julie Castillo-Rogez, Kiri Wagstaff, David R. Thompson. Agile Science: Using Onboard Autonomy for Primitive Bodies and Deep Space Exploration. Steve Chien, Brian Bue, Julie Castillo-Rogez, Dero Gharibian, Russell Knight, Steve Schaffer, David R. Thompson, and Kiri L. Wagstaff. Machine Learning for Science and Society. Machine Learning, 95(1), doi:10.1007/s10994-013-5425-9, 2014. This is our introduction to the special issue of MLJ featuring papers that show how machine learning can benefit science investigations and problems of interest to society at large. Big Data Tools Come to Mars: Content-Based Analysis of Mars Orbital Imagery. Kiri L. Wagstaff, Ravi Kiran, Lukas Mandrake, Norbert Schorghofer, Alexander Smith, and Ben Bornstein. 8th International Conference on Mars, July 2014. Unusual ChemCam Targets Discovered Automatically in Curiosity's First Ninety Sols in Gale Crater, Mars. Kiri L. Wagstaff, Nina L. Lanza, and Roger C. Wiens. We analyzed 11,750 ChemCam spectra of soil and rock targets on Mars. Here we present some of the most unusual ones, according to the DEMUD discovery algorithm. Online Classification for Time-Domain Astronomy. Kitty K. Lo, Tara Murphy, Umaa Rebbapragada, and Kiri L. Wagstaff. Proceedings of the Astroinformatics workshop, IEEE International Conference on Data Mining, December 2013. Kiri L. Wagstaff, David R. Thompson, William Abbey, Abigail Allwood, Dmitriy L. Bekker, Nathalie A. Cabrol, Thomas Fuchs, and Kevin Ortega. Geophysical Research Letters, 40(16):4188-4193, doi:10.1002/grl.50817, 2013. We've created a camera that both collects images and analyzes them for interesting textures. The analysis results can identify high-priority targets for follow-up study. Ultimately, our goal is to help rovers and spacecraft to graduate from remote instrument to field assistant. Guiding Scientific Discovery with Explanations using DEMUD (pdf, 7 pages, 291K). Kiri L. Wagstaff, Nina L. Lanza, David R. Thompson, Thomas G. Dietterich, and Martha S. Gilmore. Proceedings of the Twenty-Seventh AAAI Conference on Artificial Intelligence (AAAI-13), p. 905-911, 2013. DEMUD is an algorithm for quickly finding interesting novelties or anomalies in large data sets. Uniquely, it also provides explanations for why each item is considered interesting. We report on experiments with hyperspectral data from Mars orbit and the Martian surface, finding that DEMUD indeed discovers items of scientific interest, and that the explanations are useful: with them, a scientist's ability to classify spectra doubled. A Framework for Interpreting Fast Radio Transients Search Experiments: Application to the V-FASTR Experiment. Cathryn M. Trott, Steven J. Tingay, Randall B. Wayth, David R. Thompson, Adam T. Deller, Walter F. Brisken, Kiri L. Wagstaff, Walid A. Majid, Sarah Burke-Spolaor, Jean-Pierre R. Macquart, and Divya Palaniswamy. The Astrophysical Journal, 767, 4, doi: 10.1088/0004-637X/767/1/4, 2013. VAST: An ASKAP Survey for Variables and Slow Transients. Tara Murphy, Shami Chatterjee, David L. Kaplan, Jay Banyer, Martin E. Bell, Hayley E. Bignall, Geoffrey C. Bower, Robert Cameron, David M. Coward, James M. Cordes, Steve Croft, James R. Curran, S. G. Djorgovski, Sean A. Farrell, Dale A. Frail, B. M. Gaensler, Duncan K. Galloway, Bruce Gendre, Anne J. Green, Paul J. Hancock, Simon Johnston, Atish Kamble, Casey J. Law, T. Joseph W. Lazio, Kitty K. Lo, Jean-Pierre Macquart, Nanda Rea, Umaa Rebbapragada, Cormac Reynolds, Stuart D. Ryder, Brian Schmidt, Roberto Soria, Ingrid H. Stairs, Steven J. Tingay, Ulf Torkelsson, Kiri Wagstaff, Mark Walker, Randall B. Wayth, and Peter K. G. Williams. Publications of the Astronomical Society of Australia, 30, 2013. An overview of the VAST project, which will search for new variables and slow transient events in data collected by ASKAP, the Australian SKA Precursor radio array. David R. Thompson, William Abbey, Abigail Allwood, Dmitriy Bekker, Benjamin Bornstein, Nathalie A. Cabrol, Rebecca Castano, Steve A. Chien, Joshua Doubleday, Tara Estlin, Greydon Foil, Thomas Fuchs, Daniel Howarth, Kevin Ortega, and Kiri L. Wagstaff. 44th Lunar and Planetary Science Conference, March 2013. Smart Cameras for Remote Science Survey (pdf, 8 pages, 12M). David R. Thompson, William Abbey, Abigail Allwood, Dmitriy Bekker, Benjamin Bornstein, Nathalie A. Cabrol, Rebecca Castano, Tara Estlin, Thomas Fuchs, and Kiri L. Wagstaff. Proceedings of the International Symposium on Artificial Intelligence, Robotics and Automation in Space, 2012. Put a random forest classifier brain inside a camera, and you can accomplish some impressive things! Limits on the event rates of fast radio transients from the V-FASTR experiment. Randall B. Wayth, Steven J. Tingay, Adam T. Deller, Walter F. Brisken, David R. Thompson, Kiri L. Wagstaff, and Walid A. Majid. The Astrophysical Journal Letters, 753(2), doi: 10.1088/2041-8205/753/2/L36, 2012 (arXiv version). Our commensal fast transient detection system (V-FASTR) has acquired over 1300 hours of radio astronomy observations, allowing us to place new limits on the (non-)occurrence of such transients. Machine Learning that Matters (pdf, 6 pages, 234K) [Slides (pptx, 2.1M)]. Proceedings of the Twenty-Ninth International Conference on Machine Learning (ICML), p. 529-536, 2012. This position paper outlines some ways in which much of current machine learning research has become disconnected from real problems of significance to the world outside of machine learning. Its goal is to instigate creative discussions about how to remedy the situation. David R. Thompson, Walid A. Majid, Colorado J. Reed, and Kiri L. Wagstaff. Statistical Analysis and Data Mining, 2012. This is an extended version of our CIDU 2011 paper, which offers two improvements: modeling local context around known false alarms, and employing a sparse PCA for better interpretability of the results. Surface Sulfur Detection via Remote Sensing and Onboard Classification. Lukas Mandrake, Umaa Rebbapragada, Kiri L. Wagstaff, David Thompson, Steve Chien, Daniel Tran, Robert T. Pappalardo, Damhnait Gleeson, and Rebecca Castano. ACM Transactions on Intelligent Systems and Technology, 2012. A report on the use of SVMs and careful data analysis to develop a reliable surface sulfur detector from orbital data, with implications for the search for biosignatures on Europa. Dynamic Landmarking for Surface Feature Identification and Change Detection. Kiri L. Wagstaff, Julian Panetta, Adnan Ansar, Ronald Greeley, Mary Pendleton Hoffer, Melissa Bunte, and Norbert Schorghofer. ACM Transactions on Intelligent Systems and Technology, vol. 3, issue 3, article number 49, 2012. Salience-based methods for finding interesting and unusual surface features on Mars, and a discussion of several such features we discovered, including new dark slope streaks and seasonally exposed bedforms. Offline and Online Classification of Simulated VAST Transients (pdf, 18 pages, 3M). Umaa Rebbapragada, Kitty Lo, Kiri L. Wagstaff, Colorado Reed, and Tara Murphy. A report on the performance of different strategies for classifying variable and transient sources in radio astronomy data, in support of the VAST investigation using the ASKAP array. We explored both offline (archival) and online (realtime) classification methods. Big Data Challenges for Large Radio Arrays (pdf, 6 pages, 1.2M). Dayton L. Jones, Kiri Wagstaff, David R. Thompson, Larry D'Addario, Robert Navarro, Chris Mattmann, Walid Majid, Joseph Lazio, Robert Preston, and Umaa Rebbapragada. Proceedings of the 33rd IEEE Aerospace Conference, March 2012. Chapter in Advances in Machine Learning and Data Mining for Astronomy, Chapman & Hall/CRC Press, 2012. Basic survey of clustering methods and how they can be useful in the context of astronomical data analysis. Interactive Discovery of New Phenomena in Martian Point Spectra and Hyperspectral Data Sets (pdf slides, 4M). Kiri L. Wagstaff, Nina Lanza, David R. Thompson, Diana L. Blaney, and Thomas G. Dietterich. Fall Meeting of the American Geophysical Union, Abstract #P12A-04, December 2012. Geological Layer Detection and Candidate Science Target Identification. Rebecca Castano, Benjamin Bornstein, David R. Thompson, Kiri Wagstaff, Tara Estlin, and Robert C. Anderson. Fall Meeting of the American Geophysical Union, Poster #P11E-1852, December 2012. Reliable Classification of Geologic Surfaces Using Texture Analysis. Greydon Foil, Dan Howarth, William J. Abbey, Dmitriy L. Bekker, Rebecca Castano, David R. Thompson, and Kiri Wagstaff. Fall Meeting of the American Geophysical Union, Poster #P13A-1915, December 2012. 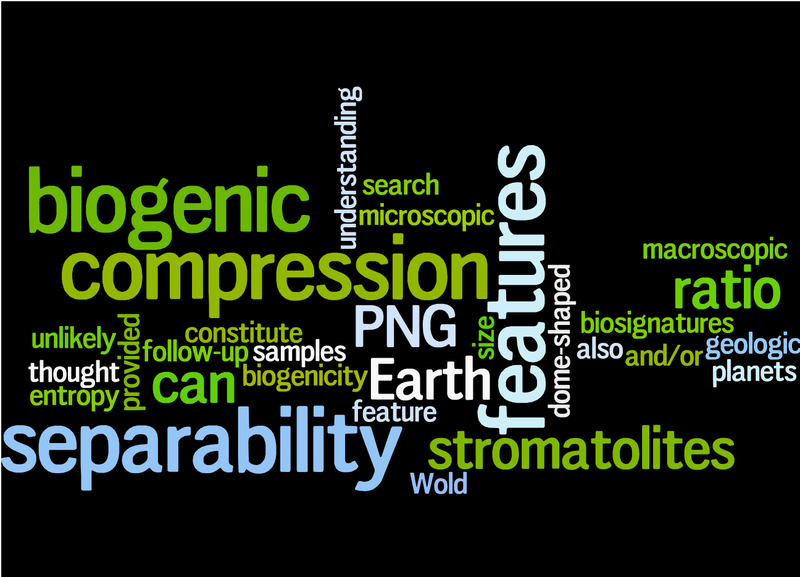 TextureCam: Autonomous Image Analysis for Astrobiology Survey (pdf, 2 pages, 1M). David R. Thompson, Abigail Allwood, Dmitriy Bekker, Nathalie A. Cabrol, Tara Estlin, Thomas Fuchs, and Kiri L. Wagstaff. 43rd Lunar and Planetary Science Conference, March 2012. Describes the TextureCam project, which aims to build a trained random forest classifier into an FPGA attached to a camera, for use onboard future rovers. This "smart camera" will be able to classify scenes as they are collected, to aid in autonomous targeting of other instruments. Semi-Supervised Novelty Detection with Adaptive Eigenbases, and Application to Radio Transients (pdf, 11 pages, 625K). [Slides (pdf, 12 pages, 4M)] Received the Best Paper Award. Proceedings of the Conference on Intelligent Data Understanding, 2011. How to do novelty detection while ignoring anomalies you already know about and don't think are interesting. Using Ensemble Decisions and Active Selection to Improve Low-Cost Labeling for Multi-View Data (pdf, 6 pages 275K). Umaa Rebbapragada and Kiri L. Wagstaff. Proceedings of the ICML Workshop on Combining Learning Strategies to Reduce Label Cost, 2011. How sensors in a network can collaborate to improve their classification performance. Machine Learning in Space: Extending Our Reach. Amy McGovern and Kiri L. Wagstaff. Machine Learning, 84(3):335-340, doi:10.1007/s10994-011-5249-4, 2011. Why space missions need machine learning, and where we ML folk should be devoting our efforts. V-FASTR: The VLBA Fast Radio Transients Experiment. Randall B. Wayth, Walter F. Brisken, Adam T. Deller, Walid A. Majid, David R. Thompson, Steven J. Tingay, and Kiri L. Wagstaff. The Astrophysical Journal, 735(2), doi: 10.1088/0004-637X/735/2/97, 2011. Detection of fast radio transients with multiple stations: A case study using the Very Long Baseline Array. David R. Thompson, Kiri L. Wagstaff, Walter Brisken, Adam T. Deller, Walid A. Majid, Steven J. Tingay, and Randall B. Wayth. The Astrophysical Journal, 735(2), doi: 10.1088/0004-637X/735/2/98, 2011. Classification of ASKAP VAST Radio Light Curves. Umaa Rebbapragada, Kitty Lo, Kiri L. Wagstaff, Colorado Reed, Tara Murphy, and David R. Thompson. Proceedings of the International Astronomical Union, New Horizons in Time-Domain Astronomy, p. 397-399, 2011. Fast Transient Detection as a Prototypical "Big Data" Problem. Dayton L. Jones, Kiri Wagstaff, David Thompson, Larry D'Addario, Robert Navarro, Chris Mattmann, Walid Majid, Umaa Rebbapragada, Joseph Lazio, and Robert Preston. Proceedings of the International Astronomical Union, New Horizons in Time-Domain Astronomy, p. 340-341, 2011. Transient Aeolian Features Detected Autonomously in HiRISE Images of El Dorado, Columbia Hills, Gusev Crater, Mars (pdf, 2 pages, 436K). Mary Pendleton Hoffer, Ronald Greeley, Kiri L. Wagstaff, and Adnan Ansar. 42nd Lunar and Planetary Science Conference, March 2011. Using automated change detection and landmark analysis, we identified several transient surface features in the El Dorado dune field. The features were likely caused by the activity of dust devils, both removing dust from the surface and later depositing it. The changes are subtle enough that detecting them manually can be very difficult. Encyclopedia of Machine Learning, p. 220-221, Springer, 2010. The Commensal Real-Time ASKAP Fast-Transients (CRAFT) Survey. Jean-Pierre Macquart, M. Bailes, N. D. R. Bhat, G.C. Bower, J.D. Bunton, S. Chatterjee, T. Colegate, J.M. Cordes, L. D'Addario, A. Deller, R. Dodson, R. Fender, K. Haines, P. Hall, C. Harris, A. Hotan, S. Johnston, D.L. Jones, M. Keith, J.Y. Koay, T.J.W. Lazio, W. Majid, T. Murphy, R. Navarro, C. Phillips, P. Quinn, R. A. Preston, B. Stansby, I. Stairs, B. Stappers, L. Staveley-Smith, S. Tingay, D. Thompson, W. van Straten, K. Wagstaff, M. Warren, R. Wayth, and L. Wen (the CRAFT Collaboration). Publications of the Astronomical Society of Australia, 27(3), p. 272-282, doi:10.1071/AS09082, 2010. This paper describes the goals of the CRAFT team, an international collaboration developing new ways to detect transient radio events in real-time with large radio array telescopes. It serves as a precursor to develop technology needed for the upcoming Square Kilometer Array (SKA). Detecting Structural Microbial Biosignatures in Digital Images. Kiri L. Wagstaff and Frank A. Corsetti. Astrobiology, 10(4), p. 363-379, doi:10.1089/ast.2008.0301, May 2010. Given an image of a rock that contains layered structures, is it possible to determine whether the layers were created by life (biogenic)? We evaluated several quantitative measures that capture the degree of complexity in visible structures, in terms of compressibility (to detect order) and the entropy (spread) of their intensity distributions. None of the techniques provided a consistent, statistically significant distinction between all biogenic and abiogenic samples, but the PNG compression ratio provided the strongest distinction and could inform future techniques. Confidence-Based Feature Acquisition to Minimize Training and Test Costs (pdf, 11 pages, 624K). Marie desJardins, James MacGlashan, and Kiri L. Wagstaff. Proceedings of the SIAM Conference on Data Mining, p. 514-524, April 2010. How can the best classifier be learned, when data features may be missing both while training and when classifying new items? Which missing features should be acquired, and in what order? This paper presents a greedy approach to achieving good performance with low feature acquisition costs. Progressive Refinement for Support Vector Machines (pdf, 17 pages, 750K). Kiri L. Wagstaff, Michael Kocurek, Dominic Mazzoni, and Benyang Tang. Data Mining and Knowledge Discovery, 20(1), p. 53-69, doi:10.1007/s10618-009-0149-y, January 2010. Progressive refinement starts with a rough classification result for all items and then iteratively refines the least-confidently-classified ones. This approach is ideal for applications that require "anytime" solutions that are always complete, such as onboard processing of camera images that informs spacecraft decisions. Characterization of a sulfur-rich Arctic spring site and field analog to Europa using hyperspectral data (journal version). Damhnait F. Gleeson, Robert T. Pappalardo, Steven E. Grasby, Mark S. Anderson, Benoit Beauchamp, Rebecca Castano, Steve A. Chien, Thomas Doggett, Lukas Mandrake, and Kiri L. Wagstaff. Remote Sensing of Environment, 114(6), p. 1297-1311, 2010. Modeling and Learning Preferences over Sets (author's version pdf, 32 pages, 1.4M; official journal page). Kiri L. Wagstaff, Marie desJardins, and Eric Eaton. Journal of Experimental and Theoretical Artificial Intelligence, doi:10.1080/09528130903119336, vol. 22, issue 3, p. 237-268, 2010. This work permits explicit control over the diversity and the depth of an automatically generated collection (e.g., music playlist, rover image download batch) through user preferences. The preferences can also be learned from examples of highly preferred sets assembled by the user. Machine Learning for Transient Detection with Radio Arrays (poster, pdf, 3.2M). David R. Thompson, Kiri L. Wagstaff, Randall Wayth, Adam Deller, and Steven Tingay. Change Detection in Mars Orbital Images using Dynamic Landmarking (pdf, 2 pages, 596K). Kiri L. Wagstaff, Julian Panetta, Adnan Ansar, Melissa Bunte, Ronald Greeley, Mary Pendleton Hoffer, and Norbert Schorghofer. 41st Lunar and Planetary Science Conference, March 2010. We developed a content-based analysis of Mars orbital images to automatically identify and classify landmarks (impact craters, dust devil tracks, slope streaks, etc.) and then detect changes in the landmarks (both new and vanished). Martian Slope Streaks form Sporadically throughout the Year (pdf, 2 pages, 237K). Christina M. King, Norbert Schorghofer, and Kiri L. Wagstaff. Smart Robots on Mars: Deciding Where to Go and What to See (pdf, 9 pages, 6.1M). Juniata Voices, vol. 9, 2009. Mars Coordinated Science Networking Demonstration (pdf, 9 pages, 1.1M). Ross Jones, Andre Girerd, Kiri Wagstaff, Charles Baker, Rashied Amini, and Debarati Chattopadhyay. This report describes a concept for how existing Mars assets (orbiters and rovers) could use Delay-Tolerant Networking to support automated, coordinated science investigations. Simulating and Detecting Radiation-Induced Errors for Onboard Machine Learning (pdf, 7 pages, 243K). Robert Granat, Kiri L. Wagstaff, Benjamin Bornstein, Benyang Tang, and Michael Turmon. Proceedings of the Third IEEE International Conference on Space Mission Challenges for Information Technology (SMC-IT), p. 125-131, July 2009. How much Memory Radiation Protection do Onboard Machine Learning Algorithms Require? (pdf, 7 pages, 645K). Kiri L. Wagstaff and Benjamin Bornstein. Proceedings of the IJCAI-09/SMC-IT-09/IWPSS-09 Workshop on Artificial Intelligence in Space, July 2009. An update to the ICML paper below, this work extends the analysis of ML algorithm radiation sensitivity to SVM classifiers as well. It also includes updated quantitative results for clustering, finding that radiation levels would have to increase by 9 orders of magnitude above the level observed in low-Earth orbit before any impact to performance was observed. Proceedings of the Twenty-Sixth International Conference on Machine Learning (ICML), p. 1097-1104, 2009. Improving Onboard Analysis of Hyperion Images by Filtering Mislabeled Training Data Examples (pdf, 9 pages, 751K). Umaa Rebbapragada, Lukas Mandrake, Kiri L. Wagstaff, Damhnait Gleeson, Rebecca Castano, Steve Chien, and Carla E. Brodley. Proceedings of the 30th IEEE Aerospace Conference, March 2009. Onboard Detection of Natural Sulfur on a Glacier via a SVM and Hyperion Data (pdf, 14 pages, 7.5M). Lukas Mandrake, Kiri L. Wagstaff, Damhnait Gleeson, Umaa Rebbapragada, Daniel Tran, Rebecca Castano, Steven Chien, and Robert Pappalardo. Biogenicity Analysis of Stromatolite Structures. 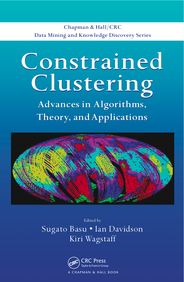 Constrained Clustering: Advances in Algorithms, Theory, and Applications. Edited by Sugato Basu, Ian Davidson, and Kiri L. Wagstaff, Chapman & Hall/CRC Press, 2008. Multiple-Instance Regression with Structured Data (pdf, 10 pages, 307K). Kiri L. Wagstaff, Terran Lane, and Alex Roper. Proceedings of the 4th International Workshop on Mining Complex Data, December 2008. From Protocol Specification to Statechart to Implementation (pdf, 13 pages, 560K). Kiri L. Wagstaff, Ken Peters, and Lucas Scharenbroich. JPL Technical Report, October 2008. Automatic Code Generation for Instrument Flight Software (pdf, 8 pages, 289K). Kiri L. Wagstaff, Edward Benowitz, DJ Byrne, Ken Peters, and Garth Watney. Proceedings of the 9th International Symposium on Artificial Intelligence, Robotics, and Automation in Space, February 2008. Onboard Detection of Active Canadian Sulfur Springs (pdf, 8 pages, 235K). Rebecca Castano, Kiri Wagstaff, Damhnait Gleeson, Robert Pappalardo, Steve Chien, Daniel Tran, Lucas Scharenbroich, Benyang Tang, Brian Bue, and Thomas Doggett. Planetary and Space Science, v. 56, p. 256-265, 2008. Automatic Landmark Identification in Mars Orbital Imagery. Kiri L. Wagstaff, Julian Panetta, Ron Greeley, Norbert Schorghofer, Melissa Bunte, Mary Pendleton Hoffer, and Adnan Ansar. Eos Transactions of the American Geophysical Union, 89(53), Fall Meeting Supplement, Abstract #P53C-1469, December 2008. In Situ Assessment of Potential Biogenicity using Image Analysis. Kiri L. Wagstaff and Frank Corsetti. Astrobiology Science Conference, April 2008. Abstract appears in Advances in Astrobiological Instrumentation Development by Sanjoy Som, Steve Vance, Inge ten Kate, and Andrew Steele. Astrobiology, 8(2): 296-301, 2008. On-board Analysis of Uncalibrated Data for a Spacecraft at Mars (pdf, 9 pages, 849K). Rebecca Castano, Kiri L. Wagstaff, Steve Chien, Timothy M. Stough, and Benyang Tang. Proceedings of the Thirteenth International Conference on Knowledge Discovery and Data Mining (KDD), p. 922-930, August 2007. Salience Assignment for Multiple-Instance Regression (pdf, 6 pages, 223K). Kiri L. Wagstaff and Terran Lane. Proceedings of the ICML 2007 Workshop on Constrained Optimization and Structured Output Spaces, 2007. The 2006 SIGART/AAAI Doctoral Consortium. AI Magazine, vol. 28, no. 1, p. 84-85, 2007. Value, Cost, and Sharing: Open Issues in Constrained Clustering (pdf, 10 pages, 384K). Proceedings of the Fifth International Workshop on Knowledge Discovery in Inductive Databases (KDID 2006), LNCS 4747, p. 1-10, 2007. Surface Change Detection from Mars Orbital Imagery. Baback Moghaddam, Brian D. Bue, Rebecca Castano, and Kiri L. Wagstaff. Eos Transactions of the American Geophysical Union, 88(52), Fall Meeting Supplement, Abstract #P33A-1020, December 2007. County-Level Crop Yield Prediction Using Remote Sensing Data. Kiri L. Wagstaff, Alex Roper, and Terran Lane. Eos Transactions of the American Geophysical Union, 88(52), Fall Meeting Supplement, Abstract #B13D-1526, December 2007. Automatic Onboard Detection of Planetary Volcanism from Images (pdf, 2 pages, 173K). Brian Bue, Kiri L. Wagstaff, Rebecca Castano, and Ashley Davies. 38th Lunar and Planetary Science Conference, March 2007. Measuring Constraint-Set Utility for Partitional Clustering Algorithms (pdf, 12 pages, 276K). Ian Davidson, Kiri L. Wagstaff, and Sugato Basu. Proceedings of the Tenth European Conference on Principles and Practice of Knowledge Discovery in Databases (PKDD), p. 115-126, September 2006. Active Learning with Irrelevant Examples (pdf, 8 pages, 395K). Dominic Mazzoni, Kiri L. Wagstaff, and Michael Burl. Proceedings of the Seventeenth European Conference on Machine Learning (ECML), p. 695-702, September 2006. Proceedings of the Twenty-Third International Conference on Machine Learning (ICML), p. 273-280, 2006. Proceedings of the Second NASA Data Mining Workshop, May 2006. The 2005 SIGART/AAAI Doctoral Consortium. AI Magazine, vol. 27, no. 1, p. 96, 2006. Real-Time, In-Situ Detection of Dust Devils using Pressure Sensors (html). Kiri L. Wagstaff, Rebecca Castano, and Steve Chien. Eos Transactions of the American Geophysical Union, 87(52), Fall Meeting Supplement, Abstract #IN52A-03, December 2006. Fast, Interactive Analysis of Remote Sensing Data with the HARVIST System (html). Michael J. Kocurek, Kiri L. Wagstaff, Dominic Mazzoni, Stephan R. Sain, Lucas Scharenbroich, and Timothy M. Stough. Eos Transactions of the American Geophysical Union, 87(52), Fall Meeting Supplement, Abstract #IN21A-1204, December 2006. Automatic Plume Detection for Planetary Bodies (html). Eos Transactions of the American Geophysical Union, 87(52), Fall Meeting Supplement, Abstract #IN52A-04, December 2006. Automating the Detection of Enceladus-Style Plumes (html). Kiri L. Wagstaff, Becky Castano, Ashley Davies, and Brian Bue. Division for Planetary Sciences meeting #38, Bulletin of the American Astronomical Society, Vol. 38, p. 522, October 2006. When is Constrained Clustering Beneficial, and Why? (pdf, 2 pages, 71K). Kiri L. Wagstaff, Sugato Basu, and Ian Davidson. AAAI Member Abstracts and Posters, Proceedings of the Twenty-first National Conference on Artificial Intelligence (AAAI), July 2006. Detecting Dust Storms and Water Ice Clouds Onboard THEMIS (html -- note incorrect citation; should be Spring 2006, not Fall 2007 meeting). Kiri L. Wagstaff, Joshua L. Bandfield, Rebecca Castano, Steve Chien, Michael D. Smith, and Timothy M. Stough. Spring AGU Joint Assembly, Revolutionary Space Exploration Concepts using Onboard Computing, May 2006. Evidence of Life or Not? Scale Sensitive Analysis of Stromatolite Biogenicity. Third Annual Southern California Geobiology Symposium, April 2006. Dust Storms and Water Ice Clouds: Feature Detection for Use Onboard THEMIS (pdf, 2 pages, 216K). Kiri L. Wagstaff, Joshua L. Bandfield, Rebecca Castano, Steve Chien, and Michael D. Smith. 37th Lunar and Planetary Science Conference, March 2006. Forecasting Space Weather: Predicting Interplanetary Shocks using Neural Networks (pdf, 5 pages, 244K). Jon Vandegriff, Kiri Wagstaff, George Ho and Janice Plauger. Advances in Space Research, vol. 36, issue 12, p. 2323-2327, 2005. Active Constrained Clustering by Examining Spectral Eigenvectors (pdf, 14 pages, 681K). Proceedings of the Eighth International Conference on Discovery Science, p. 294-307, 2005. An Onboard Data Analysis Method to Track the Seasonal Polar Caps on Mars (pdf, 8 pages, 2.8M). DD-PREF: A Language for Expressing Preferences Over Sets (pdf, 7 pages, 597K). Proceedings of the Twentieth National Conference on Artificial Intelligence (AAAI), p. 620-626, 2005. HARVIST: A System for Agricultural and Weather Studies Using Advanced Statistical Models (pdf, 5 pages, 3.5M). Proceedings of the Earth-Sun Systems Technology Conference (ESTC), 2005. Validating Rover Image Prioritizations (pdf, 8 pages, 354K). Constrained Spectral Clustering under a Local Proximity Structure (pdf, 2 pages, 55K). Proceedings of the 18th International Florida Artificial Intelligence Research Society (FLAIRS) Conference, p. 866-867, 2005. A Context-Sensitive and User-Centric Approach to Developing Personal Assistants (pdf, 3 pages, 40K). Current Results from a Rover Science Data Analysis System (pdf, 10 pages, 696K). Making the Most of Missing Values: Object Clustering with Partial Data in Astronomy (pdf, 5 pages, 85K). Astronomical Data Analysis Software and Systems XIV (ADASS), ASP Conference Series, Vol. 347, 2005. Revolutionising Science-Driven Deep Space Mission Operations Using Autonomously-Operating Spacecraft as Demonstrated with ASE on EO-1 (html). Davies, Chien, Doggett, Ip, Dohm, Greeley, Baker, Castano, Sherwood, and Wagstaff. Eos Transactions of the American Geophysical Union, 86(52), Fall Meeting Supplement, Abstract #P41A-0924, December 2005. Compression Analysis and the Biogenic Modification of Abiogenic Substrates (html). Frank A. Corsetti, Kiri L. Wagstaff, Nicole Bonuso, and Matthew Smith. Annual Meeting of the Geological Society of America (GSA), 2005. Structural Biosignature Detection from Rover Images. Second Astrobiology Graduate Conference, 2005. Towards Onboard Orbital Tracking of Seasonal Polar Volatiles on Mars (pdf, 2 pages, 115K). Tracking Retreat of the North Seasonal Ice Cap on Mars: Results from the THEMIS Investigation (pdf, 2 pages, 860K). Using Trained Pixel Classifiers to Select Images of Interest (pdf, 8 pages, 262K). Clustering with Missing Values: No Imputation Required (pdf, 10 pages, 244K). Mining GPS Traces for Map Refinement (pdf, 29 pages, 837K). Stefan Schroedl, Kiri Wagstaff, Seth Rogers, Pat Langley, and Christopher Wilson. Data Mining and Knowledge Discovery, vol. 9, issue 1, p. 59-87, 2004. How to Leverage Existing Spectral Knowledge when Clustering Hyperspectral Data (html). Eos Transactions of the American Geophysical Union, 85(52), Fall Meeting Supplement, Abstract #NG43A-0439, December 2004. Science-Based Region-of-Interest Image Compression (pdf, 2 pages, 68K). 35th Lunar and Planetary Science Conference, March 2004. Multiangle Remote Sensing of Optically Thin Cirrus Clouds from MISR using Support Vector Machines (html). Michael Garay, Dominic Mazzoni, Roger Davies, and Kiri Wagstaff. Spring AGU, Abstract #GC51A-03, 2004. Automated Analysis of Mars Multispectral Observations (pdf, 3 pages, 195K). Forecasting Space Weather: Using ACE Data to Provide Real-time Predictions of High-Intensity Energetic Storm Particle Events (pdf, 2 pages, 11K). Kiri Wagstaff, Jon Vandegriff, George C. Ho, and Janice Plauger. Spring AGU; Geophysical Research Abstracts, vol. 5, p. 14542-3, 2003. A Hybrid Global MISR Cloud Mask using Support Vector Machines and Active Learning. Michael Garay, Dominic Mazzoni, Roger Davies, Kiri Wagstaff, Dennis DeCoste, and Amy Braverman. Eos Transactions of the American Geophysical Union, 84(46), Fall Meeting Supplement, Abstract #H11F-0913, December 2003. Real-time Upstream Monitoring System: Using ACE Data to Predict the Arrival of Interplanetary Shocks (html). Michelle Donegan, Kiri Wagstaff, George C. Ho, and Jon Vandegriff. Eos Transactions of the American Geophysical Union, 84(46), Fall Meeting Supplement, Abstract #SH42A-0479, December 2003. Kiri L. Wagstaff. Ph.D. Dissertation (Computer Science), Cornell University, 2002. Constrained K-means Clustering with Background Knowledge (ps, 8 pages, 225K; [pdf version]). Kiri Wagstaff, Claire Cardie, Seth Rogers, and Stefan Schroedl. Proceedings of the International Conference on Machine Learning (ICML), p. 577-584, 2001. Generalized Clustering, Supervised Learning, and Data Assignment (ps, 6 pages, 238K). Annaka Kalton, Pat Langley, Kiri Wagstaff, and Jungsoon Yoo. Proceedings of the Sixth International Conference on Knowledge Discovery and Data Mining (KDD), p. 299-304, 2001. Multi-document Summarization via Information Extraction (pdf, 7 pages, 49K). Mike White, Tanya Korelsky, Claire Cardie, Vincent Ng, David Pierce, and Kiri Wagstaff. Proceedings of the Human Language Technology (HLT) Conference, 2001. Detecting Discrepancies and Improving Intelligibility: Two Preliminary Evaluations of RIPTIDES (pdf, 16 pages, 49K). Mike White, Claire Cardie, Vincent Ng, Kiri Wagstaff, and Daryl McCullough. DUC Workshop on Text Summarization, 2001. Refining Bias in Clustering Algorithms via Problem-Specific Constraints (ps, 17 pages, 284K). Kiri Wagstaff. Thesis proposal, 2000. Clustering with Instance-level Constraints (ps, 8 pages, 224K; [pdf version]). Kiri Wagstaff and Claire Cardie. Proceedings of the International Conference on Machine Learning (ICML), p. 1103-1110, 2000. Alpha Seeding for Support Vector Machines (ps, 5 pages, 205K). Dennis DeCoste and Kiri Wagstaff. Proceedings of the Sixth International Conference on Knowledge Discovery and Data Mining (KDD), p. 345-349, 2000. Refining Inductive Bias in Unsupervised Learning via Constraints (pdf, 1 page, 9K). AAAI-2000 Doctoral Consortium; Proceedings of the Seventeenth National Conference on Artificial Intelligence (AAAI), p. 1112, 2000. Clustering with Instance-level Constraints (pdf, 1 page, 11K). AAAI-2000 Student Session; Proceedings of the Seventeenth National Conference on Artificial Intelligence, p. 1097, 2000. Noun Phrase Coreference as Clustering (ps, 8 pages, 219K). Claire Cardie and Kiri Wagstaff. Proceedings of the Joint SIGDAT Conference on Empirical Methods in Natural Language Processing and Very Large Corpora (EMNLP), p. 82-89, 1999. Extravehicular Activity Suit Systems Design: How to Walk, Talk, and Breathe on Mars (pdf, 22 pages, 485K). George Barton, Akio Cox, Lauren DeFlores, Alison Diehl, Ari Garber, Randall Goldsmith, Joel Haenlein, Alex Iglecia, Kerri Kusza, Brett Lee, Saemi Mathews, Jonathan Mitchell, Abigail Ross, Rachel Sanchez, Stephen Shannon, Sri Priya Sundararajan, Mike Valdepenas, and Kiri Wagstaff. HEDS-UP, 1999.